Firstly.. sorry for the blurry pic. You know kids and smartphones these days.. they can't see one. Managed to snap this before lil Hannah had it in her cute hands. 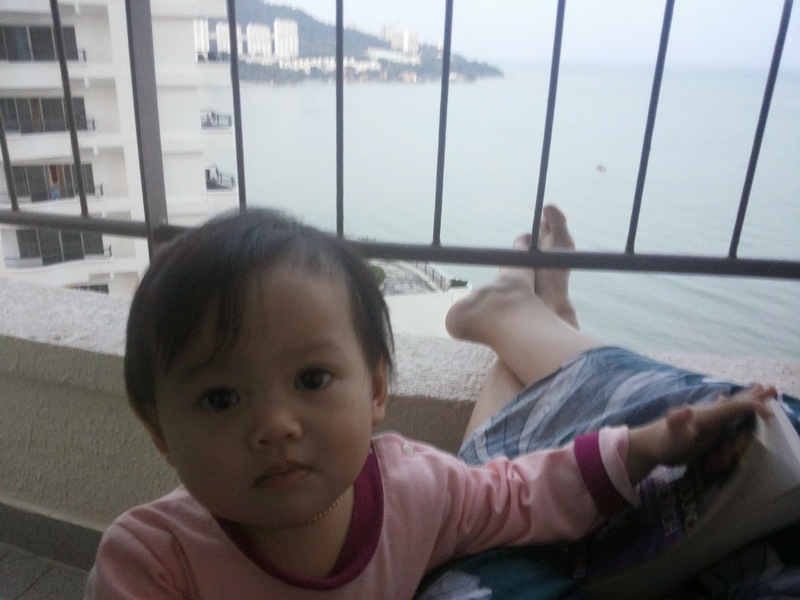 This was taken during our holiday in Penang last year.. relaxing on the balcony, trying to finish my Kiyosaki (hurmm.. still haven't by the way hehe)... of course with my trusty kaftan on. I believe kaftans are the most comfortable dress for relaxing... letting loose and just chilling at home. It is forgiving.. loose.. good at hiding those extra lovely bits... comfy.. either with rayon or cotton material, its is just a nice feeling to the skins.. not restricting at all.. which is what you want when you are just relaxing and lazing around... especially like this.. on holiday... with a book to read and just to take in the lovely view. Batik kaftans especially those with beautiful handrawn design are a plus point. Their fun cheerful colors would bring brightness to otherwise boring day. Their handrawn design especially those that are well executed are definitely bring artsy elegance to an otherwise simple dress. I for one, definitely vouch for kaftans as a perfect lounging and relaxing at home dress. A nicer design one would look lovely as outerwear too. Heavenly on a winding down day. Hope you are enjoying your kaftans too. Want to browse our batik kaftans selection? Click here!